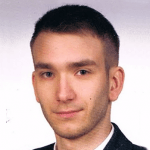 Home / Blog / Business / Time of transition: What are the Google Maps API alternatives? 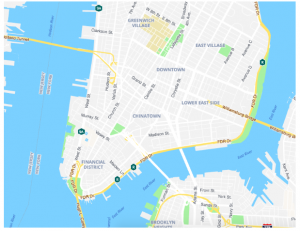 Time of transition: What are the Google Maps API alternatives? Recently, Google brought some modifications to one of their most popular products. The Californian company introduced a significant change in Maps API pricing. It still starts with a free plan but map views limit has been reduced (from 775,000 to 28,000/month) and the price for the extended usage increased sharply – by 1400% (from $0.5 to $7 monthly for additional 1,000 maps views). That’s why many companies and developers started looking for Google Maps API alternatives. Is it the time for Google Maps API alternatives? For many years, Google Maps has been the most popular tool for desktop and mobile end users. People searching for a plumber in the neighborhood, trying to locate the nearest ATM or simply looking for the direction in the new place were using the Google’s product. Traditional businesses use online maps for advertising and digital businesses use it as a part of their products. For example: Google Maps used to be the first choice for variety of food delivery management software or taxi apps. Additionally, Google is not charging Android app developers for Mobile Native Static Maps and Mobile Native Dynamic Maps. Nevertheless, many users were pursued to look for the alternatives. And, actually, we can find quite a few promising solutions which can be used in the apps. Below, I’m presenting a brief overview of some Google Maps API alternatives worth checking. Depending on whether you are looking for an enterprise mapping solution or an open-source software – you can find something which suits your needs. There are at least a few reasons to do this. Firstly, the community behind the OpenStreetMap is diverse and passionate. Enthusiastic mappers, GIS professionals, engineers running the OSM servers, humanitarians mapping disaster-affected areas and many more people regularly contribute to this project. Secondly, if you consider building a local community app, OpenStreetMap offers plenty of local insights. Bigger companies don’t provide this kind of data. Thirdly, it’s worth mentioning that OpenStreetMap data is not only open but also free of charge. And finally, the founders of OpenStreetMap are known for creating CloudMade. It offered customisable maps a long time before Google styled their Maps. Pricing: you can use OpenStreetMap for any purpose without any costs. Just remember to credit OSM and its community. Another open mapping platform, MapBox, presents itself as an impeccable example of how the mapping solutions should look like. It’s an advanced approach to the subject – MapBox is built on vector maps and the data is rendered in real time on your device. 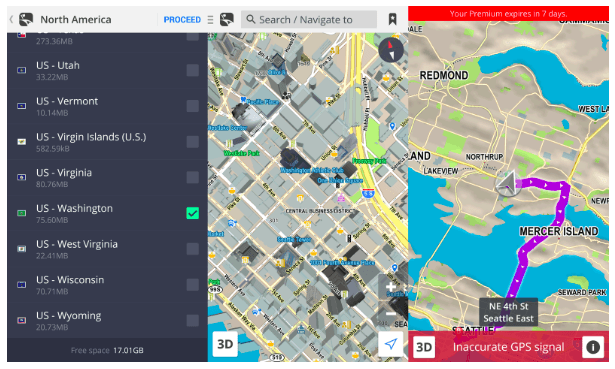 MapBox offers SDKs for iOS, Android, Unity, React Native and Qt. 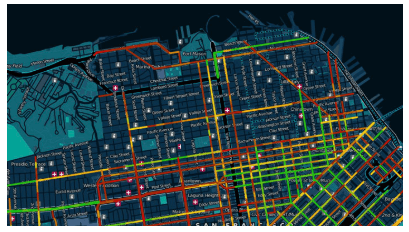 The maps have a visually-appealing design, they are powered by OpenStreetMap data and it’s simple to customize the colours and the features to suit any style or brand you need. Thanks to that, developers can achieve great UI and UX in the application. Pricing: it’s based on a pay-as-you-go model with a free starter. After reaching out-of-charge limits, you have to pay $0.50 per each 1,000 web map views or geocodes. Alternatively, you can extend your pay-as-you-go package with a commercial one. It costs $499/month. If you’re interested in virtual maps, you probably heard about well-known Google Maps alternative called TomTom. It’s a Dutch solution and many users have it in their cars. TomTom offers a few REST APIs and SDKs. They may help you build and enhance your mobile or web apps with a range of features, such as searching, routing or mapping – to name a few. It’s also capable of showing you the traffic information. Thanks to that, you can develop location-aware apps easily. Pricing: TomTom gives developers 2,500 free transactions daily, alongside with a pay-as-you-go credit package. Any extensions depend on the volume you need and the actual usage. TomTom offers variety of bundles. You can expect additional credits to be charged with circa $0.5 per 1,000 requests. Polymaps can load the data at a full range of scales. That’s why it’s perfect for showing information from any level you need. Starting with countries, through the states or towns and down to streets. The site uses SVG to display information and you can use basic CSS rules to define the design of the presented data. Also, spherical Mercator tile format is used for the imagery and data. Thanks to that, publishing information is really fast. Pricing: Polymaps are free. Just remember to credit them. MapFit is a SEO-friendly, big-data-based solution based on locations. According to the authors, it’s engine is able to automatically identify the physical entrances for 95% of addresses assigned to the building structures. Therefore, it seems to be a new quality in storefront geocoding. On top of that, MapFit offers pretty great API and SDKs for Android and iOS. Very fast vector map tile server gives you much more accurate and reliable geocoding results than MapBox or OSM. Pricing: there are 3 basic plans available. “Free”: for community-based projects (with 50,000 maps views/month). “Growth”: $49/month for unlimited map views and 150,000 geocode requests with $0.5 for additional 1,000 API requests. “Scale”: $1499/month for unlimited map views and 1M geocode requests with $0.2 for additional 1,000 API requests. Another option worth checking is called AND. More than three decades of experience in providing APIs for location-based services gives you a pretty reliable solution. This long-record company from the Netherlands (yup, another one) is focused on automatic map updates in real time. It gives you the opportunity to add location intelligence and improve your business processes. 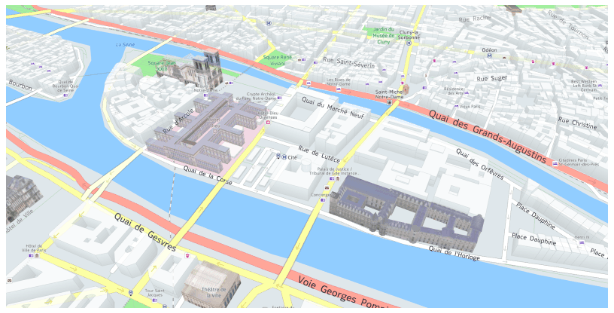 Their Map API offers the full spatial functionality and it’s based on the data from OpenStreetMap. Standard features include map viewing, geocoding and reverse geocoding. Pricing: For a full range of prices you need to contact their sales department. 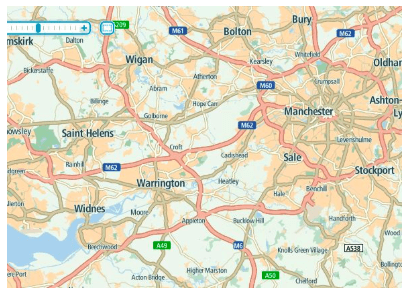 Sygic is an enterprise-grade map platform, featuring cloud-based maps from HERE, TomTom, OSM and some other providers. Sygic Maps offers an app development kit to bring online and offline GPS navigation and maps experience to your apps. Among Sygic APIs there are: Maps, Routes, Geocodes and Optimization ones. Therefore, it makes Sygic a pretty good Google Maps API alternative. Pricing: There’s no pricing available. You can request a trial API key on Sygic website. The creators of Bing Maps, HERE, offer a powerful set of developer tools with some great features. Among them are a wide range of APIs, SDKs and their Open Location Platform (OLP) which provides a single system for location-centric development. As the authors claim, “it allows you to focus on building innovative products and accelerate the time to the market needs”. Pricing: HERE offers a freemium model. It starts with a free plan with 250,000 free transactions/month. You can extend the basic package with a $449-per-month plan offering 1M requests. Alternatively, you can customize a package in enterprise prices. Which map API should I choose? Of course the examples listed above are only a few of the possible Google Maps API alternatives. It’s important to focus on choosing the solution which suits your needs. 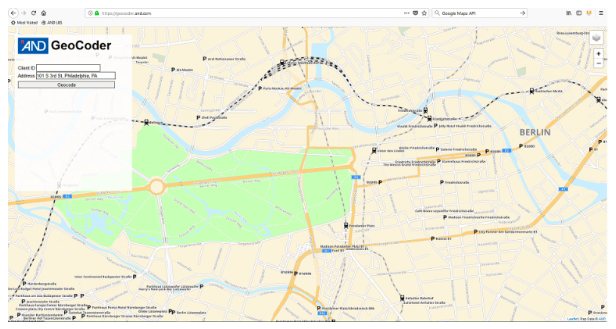 If you are about to build a local community – OpenStreetMap seems perfect. Need a customized solution with visually-appealing elements and amazing UI/UX? MapBox sounds like a plan. More complex, detailed big-data-based map software? You’ll probably go for MapFit. However, keep in mind that you can also skip all the substitutes and simply stick to Google Maps. Maybe it’s not the cheapest option available, but there are still some more expensive ones – and Google Maps is definitely the most popular solution.